CU RateReset, the industry’s leading provider of award winning, reset, recapture, pre-approval new loan and CD digital solutions officially announced today that it has launched a new Member Engagement tool – the patent pending “Knocknock”. Knocknock was first debuted earlier in this month at the 2018 CUNA Government Affairs Conference in Washington, DC. America’s Credit Union (ACU), headquartered in DuPont, Washington partnered with the CUSO to be the first credit union to offer Knocknock to its members. ACU, has been an early adopter of CU RateReset’s products and piloted Knocknock before bringing it to market. 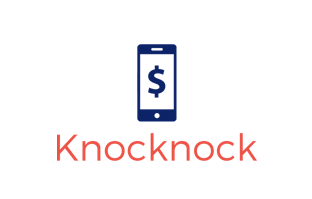 Knocknock is a web application and the first bilateral communication solution that provides members with just in time offers from the credit union. The application also provides a means for credit union members to request loan and CD resets, new loans and CDs, balance transfers, or additional cash from the credit union. The financial transactions executed through Knocknock are completed in minutes at the member’s convenience. America’s Credit Union is a member controlled, not-for-profit financial cooperative where earnings are returned to members in the form of lower loan rates, lower fees and higher interest earned. America’s Credit Union, headquartered in DuPont, WA was established in 1954 and was founded at Joint Base Lewis McChord as Fort Lewis Credit Union in Washington state. For more information about America’s Credit Union, visit http://www.youracu.org. CU RateReset is a CUSO that offers award winning products that allow the member to be in control of what have historically been routine administrative tasks that are time consuming for both front line and support staff. Both Reset Auto and Reset Mortgage, products successfully tested and adopted in the market, allow a member to reset the term of an existing auto loan, personal loan or mortgage based on credit union criteria. The software promotes loan retention at a very low cost, and provides a member with a favorable view of the member advocacy of the credit union. The Digital Pre-Approval Solutions make it simple and fast for a credit union to acquire or recapture member automobile loans, mortgage loans, personal loans and credit cards. For more information on CU RateReset visit http://www.CURateReset.com.